Pelé was the best footballer in the history. Now, he's creating awesome soccer products! 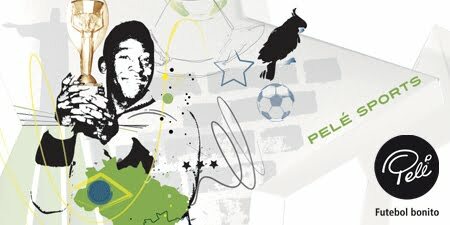 You might have seen this new premium Pelé Sports gear around, as the first lines of it were revealed during the World Cup in South Africa. P-Sports was founded in '09 and headquartered in Germany; from there a select team works closely with a team in Brazil, said team also includes the famous #10. 'O Rei' Pelé is not only the inspiration for the brand, he's also very active in product development. From top-notch boots to training bibs, the new line has all the gear a footballer (or a fan of cool soccer style) needs.